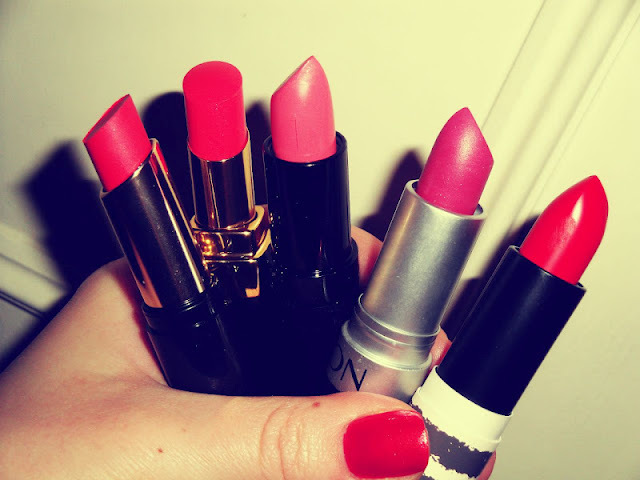 Here are five lipsticks I picked for this summer that I think are fabulous! I tried to stay away from the lipsticks that I already have featured eventhough I really love them... 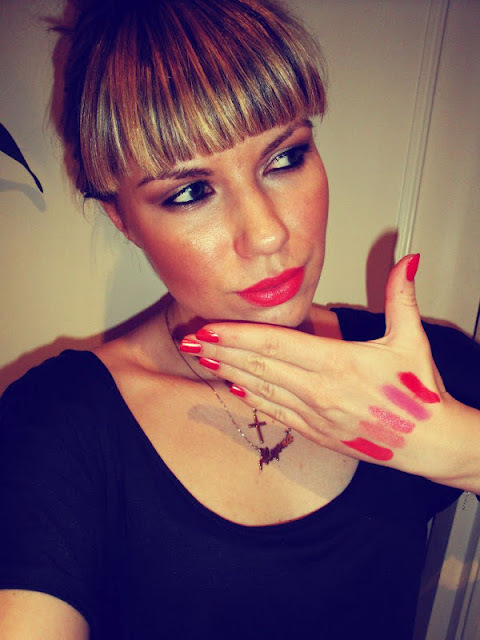 The only lipstick I did include is the Topshop Rio Rio, as I have been wearing it with my bright coral sweater, it just pops like no other red... Anyways first lipstick N7 Tangerine Touch is the one I am also wearing in the pics, a beautiful coral, which is quite buildable, you can keep it light or go full on, very uplifting colour! Next I chose Chanel En Vogue it's from the current summer collection... This lipstick I'd recommend for someone who would like to try a bit of colour this summer yet doesn't like too bright lipsticks, as you can see on the swatch it's sheer... A really moisturising light lipstick with subtle gold shimmer running through, and feels like lip balm... Third colour Rimmel by Kate Moss in #16 is a wearable bright peach, and it smells heavenly, it smells of watermelon! 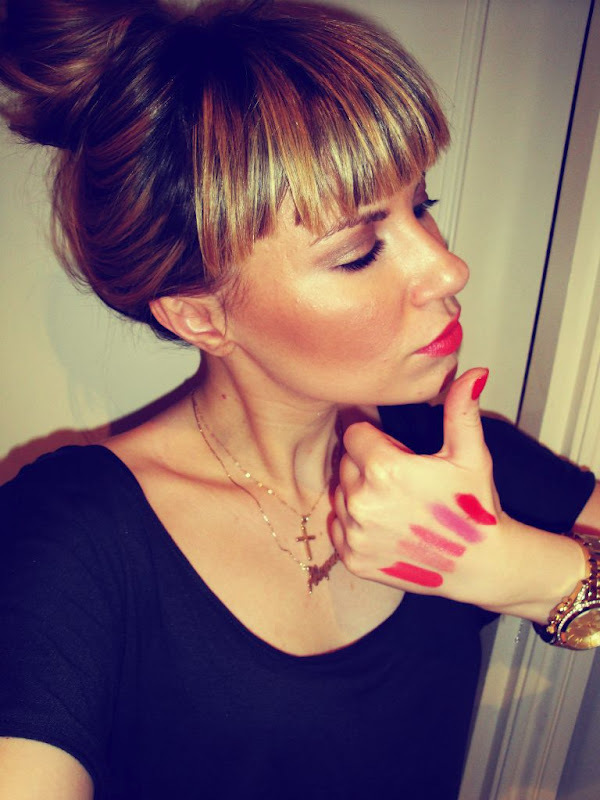 As most of the colours I chose are gravitating towards warm coral/peach shades, I decided to include a blue toned pink, it is always a colour worth having in your collection as it brings a fresh touch to your face regardless how tiered you are, this particular colour is very flattering even though I generally stay away from pink lipsticks... And finally the colour I have already mentioned, Topshop Rio Rio beautiful, but daring, with this lipstick you'll get a lot of attention! 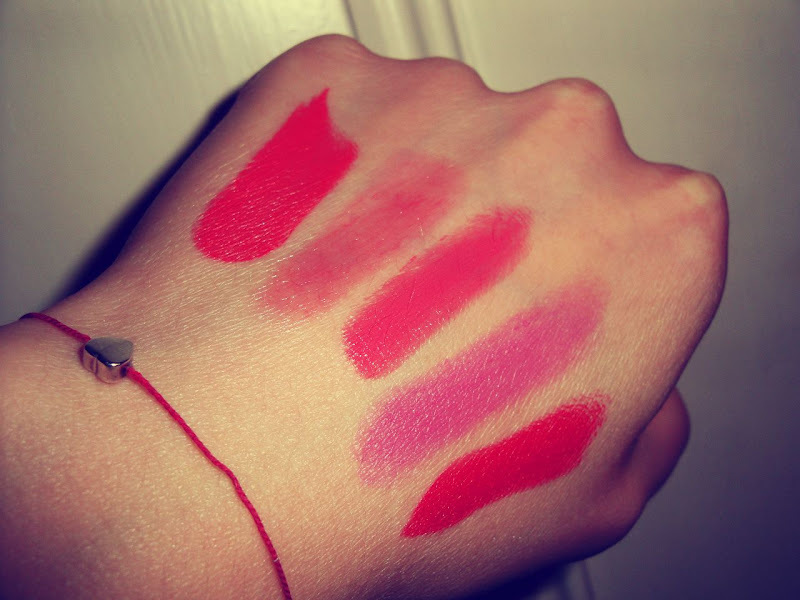 All the colours I chose are incredibly flattering, and except for Chanel they all are drugstore prices... It's just that mostly when we wear bright lips during summer a lot of lipsticks can melt or break so I think if you want to throw them in your beach bag and run off to the sandy beach, enjoying the sun, the last thing you want to do is to worry about your lipstick... For more tips on how to wear bright lips check out my blog post on Estee Lauder Coral Fantasy, a stunning coral!